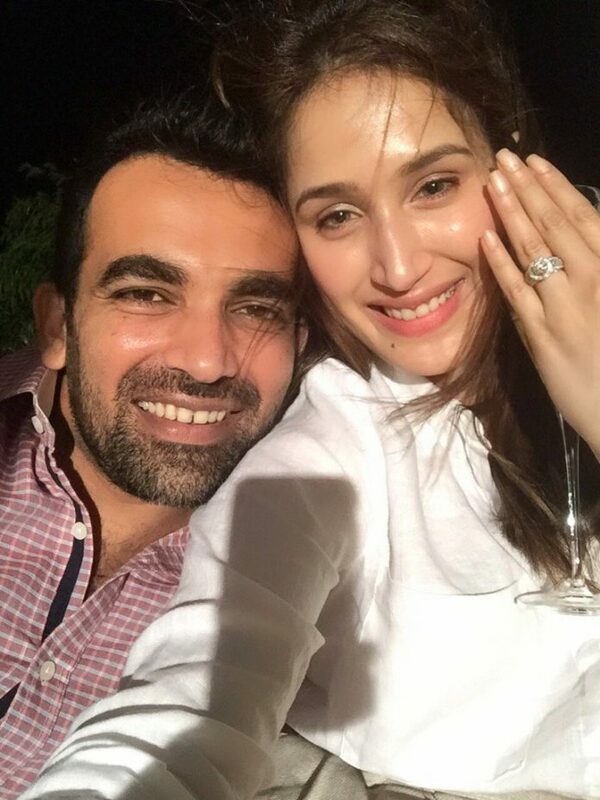 Zaheer Khan and Sagarika Ghatge announce engagement on Twitter! Home Actresses Zaheer Khan and Sagarika Ghatge get engaged! Zaheer Khan and Sagarika Ghatge get engaged! Sagarika and Zaheer have since then been making a number of public appearances together which sparked rumours about their relationship. The fast bowler was earlier in a relationship with actress Isha Sharwani but soon the two called off their relationship. Sagarika made her debut as a hockey player in Shah Rukh Khan starrer Chak De India. The actress also participated on the show Fear Factor: Khatron Ke Khiladi. Apart from acting, the actress is also a national level athlete. Previous articleKamal Haasan will host upcoming season of Bigg Boss Tamil! Next articleDid Salman Khan and Lulia Vantur fight? Is Lulia making an acting debut? Find out!